Dal’s men’s basketball team has bounced back from their opening three-game losing streak in a big way. With two statement wins in their following three contests, the Tigers have made their case for why they are a threat in the AUS. They rallied from a 17-point deficit in the second quarter to steal two points from Saint Mary’s on Nov. 28 in overtime. Then on the weekend, the Tigers handed St. Francis Xavier their first defeat of the season before falling to nationally-ranked Cape Breton. Dal is seventh in their eight-team conference with a 2-4 record. They have one game left before the holiday break. Two of the past three road games for the women’s basketball team has been defeats, but the game they did win mattered the most. The Tigers slipped-up against St. FX on the weekend and Saint Mary’s on Nov. 28, but they came out on top 70-59 over Cape Breton on Nov. 24 in the only four-point game of Dal’s road trip. The victory drew the Tigers in a tie for second place in the AUS. Tessa Stammberger recorded a team-high 25 points and nine rebounds in Dal’s winning effort. A 74-73 win for St. FX opposite Acadia on Wednesday knocked the black and gold down a peg to third place on the heels of the Tigers’ last game of the semester on Dec. 1. 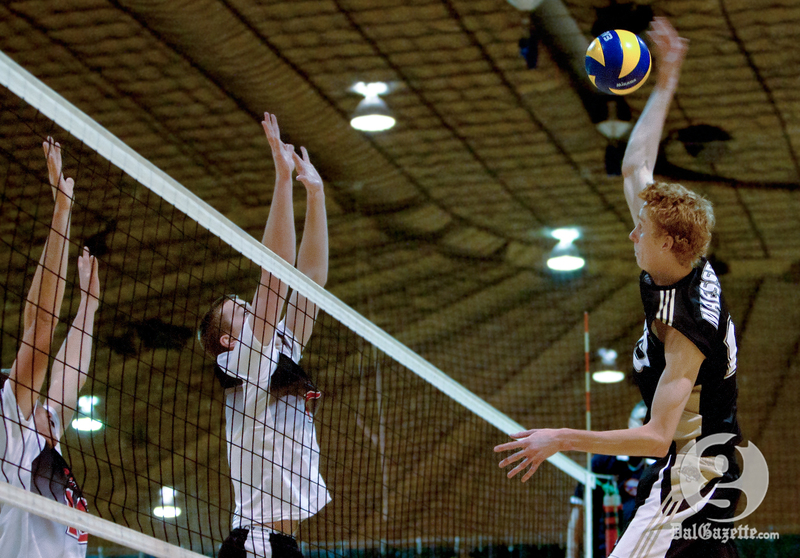 A successful weekend was accomplished by both of Dal’s volleyball teams. The women crushed the St. FX X-Women 3-1 on Nov. 24 and are now riding a five-game winning streak. Dal’s Louise Facca and Maggie Li led the No. 6 ranked team in the country with 12 kills each. Dal currently sits on top of the AUS with an undefeated record in conference play going into 2013. The men competed in their second interlock of the season this past weekend at Laval University. After falling in straight sets to the powerhouse that is the nationally-ranked Laval on Nov. 23, the Tigers rallied to win both games in their doubleheader the next day. They defeated Sherbrooke 3-2 and avenged their earlier loss in the season to Montreal by beating the Carabins 3-1. Select members of Dal’s swim team competed against some of the country’s best at the exhibition Canada Cup Nov. 23-24 in Toronto. The Tigers were unable to reach the top, closing the weekend in 11th place, but they did have three different swimmers finish in second in three separate events. Those athletes were Olympian David Sharpe in the men’s 200 metre butterfly, Chris Reith in the 1500 metre freestyle and Kit Moran in the 200 metre backstroke. Other top five results were recorded by Sharpe, Reith, Keishia Mills and Kyle Watson. The Tigers track and field team competed in their first exhibition meet of the year in Gagetown, N.B. on Nov. 24, with the perennial conference champions picking up right where they left off last season. Dal dominated in the women’s 200 metre dash, landing in the top five spots. Lesley d’Apollonia claimed first with a time of 26.74 seconds. Dal’s Sascha Hamilton-Miller and d’Apollonia placed first and second respectively in the women’s 60 metre dash. Emma Roung, who won the preliminary race, came in just one-hundredth of a second behind to tie for third. Chantelle Robbertse claimed top stop in high jump and long jump and Elizabeth MacDonald was on top of the podium in the 4 kg shot put and the 20 lb under weight throw for the Tigers. On the men’s side, 18-year-old Corey Conforzi won the 60 metre dash, while his fellow teammates Adam Lewis, Nabil Moussa and JP Wellington came in third, fourth and fifth, respectively. Robert Kennedy won the men’s 7.26 kg shot put and 35 lb under weight throw. The next meet for the squad is the Athletics Nova Scotia Open on Jan. 19.